During the past 12 to 18 months, there has been a real increase in interest by lenders around the idea of establishing “all-in-one pricing” (AiO) with their repossession forwarders. Most of this interest has been spurred by concerns expressed by the Consumer Financial Protection Bureau regarding ancillary fees as well as a desire by lenders to simplify the invoicing/payment process. AiO can, indeed, offer benefits in these areas. However, as many lenders have come to understand, it must be approached very carefully and requires fairly deep analytics to gain a clear view of where the pricing should fall. 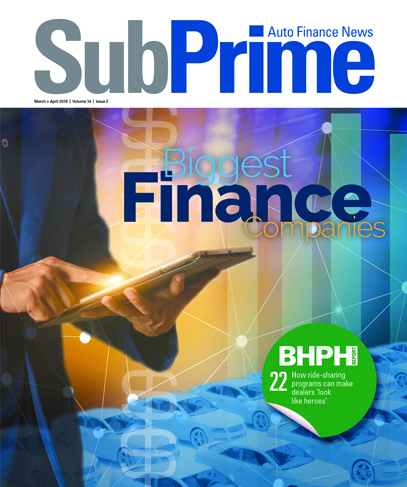 While many lenders have been examining the strategy, at this point, very few have adopted it as they have come to realize they simply don’t have the data points necessary to gain a solid understanding. The remainder of this article will examine the key issues surrounding AiO pricing with the aim of giving you a better understanding of the dynamics that come into play. It would be great if the full cost of these services could just be added to the cost of every repossession. However, since all, some or none of these services may come into a play on a given case, simply adding the full fee to each obviously would result in an AiO fee that would be ridiculously high. So, the challenge lies in understanding the utilization factors relating to the various ancillary services possibilities. Unfortunately, the utilization factors can vary tremendously from portfolio to portfolio and, therefore, detailed analytics are required to come up with a fee that makes sense for both your customer and your vendor partner. Let’s take a look at some of these variables and how they can impact the pricing model. As we all know, sometimes a key is obtained when a car is recovered and many times one is not. To determine a key cost factor that can be applied to every repossession, you have to make an assumption about what percent of recoveries will require a key. This is data that we are able to track in our proprietary database and I can tell you we see a wide variation, ranging from 2 to 3 percent to as much as 10 percent where keys have been provided. Another very significant factor is the mix of the types of keys required. Again, it can be very portfolio specific. For instance, we have one large captive lender client that was an early leader in the deployment of proximity keys which are very expensive. The average key cost is off the chart. Conversely, we have title lending clients where exactly the opposite is true. The chart below summarizes the impact both can have on the AiO price. Your institutions’ policy regarding keys can also have a major impact. Some lenders want operational keys available on all cars prior to transport. Others only want keys cut if required to access the vehicle for personal property determination. Several considerations, and we have only covered keys! Pricing for the costs related to the redemption of the vehicle by the customer is one of the trickiest aspect of AiO pricing. The first hurdle is to understand the average redemption rate on the portfolio. To predict the variable with any confidence/accuracy, one must have at least six (preferably 12) months of history tracking the issue. Not only do redemption rates vary significantly by lender, but they also vary significantly by portfolio within the lender. For instance, a post charge off skip portfolio will have a much lower redemption rate than a first placement pre-charge off portfolio. The other very important component of the redemption related costs is the amount the agents are allowed to charge the lender in redemption situations. Any redemption has a potential combination of personal property, administrative and storage related cost that the agent does expect to invoice. Historically, these costs have varied by region and even by agents operating in the same region. However, for an AiO approach to work, these fees must be standardized across all forwarders/agents. The approach to doing so is all over the board. We will leave that for another article. In many cases, a car is not redeemed but the customer does want to retrieve personal property. Due to CFPB concerns, most lenders do not want the agent collecting any personal property related fees from the customer. However, it properly accounts for these fees in the AiO model, one must make assumptions on what percent of recovered vehicles will involve retrieval of personal property. Again, it varies meaningfully by portfolio. Excess storage fees must also be accounted for in the model. Most repossession come with a certain amount of free storage, but what happens when that is exceeded? The AiO model must anticipate that possibility and assign a cost for it. Again, that can vary significantly by portfolio. We work with one lender that generally moves cars off the lot to transport within four to five days and another that averages almost 20 days. Clearly the AiO pricing model has many moving parts. If you want the right price and you want to feel confident that your vendors will be able to live with that price for a reasonable period of time, you will need to be able to provide very solid data on your portfolio. If you are unable to do so, our recommendation is to have a very transparent process with your vendors in which all assumptions are provided along with the resulting pricing model. With that in place, all parties can monitor the actual performance and agree to make adjustments accordingly. 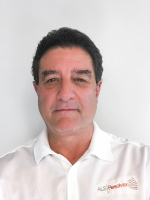 Mike Levison is the chief executive officer of ALS Resolvion. More details about the company can be found at www.alsresolvion.com.